Your makeup looks should be as bold as your moves on the dance floor - or lack thereof. This festival season let your inner glam rock goddess show with chromatic lipstick looks or technicolor, holographic pops to highlight your most rockin’ features. Here’s some makeup inspiration for looks that kill. All eyes on you. No one will notice if you miss a line or two while mouthing the words to your favorite song because your fiercely seductive metallic lip makeup look is just THAT good. Deep Purple, the band, can stay in the ‘70s, but this purple lipstick makeup look is so of the moment! This look in the Piercing lip makeup kit has “metal” written all over it. This lip color and prismatic lip powder duo are perfect for she who shall not be tamed. If a more-muted look is your jam, try playing with Provoked. How to get lip makeup looks that kill? 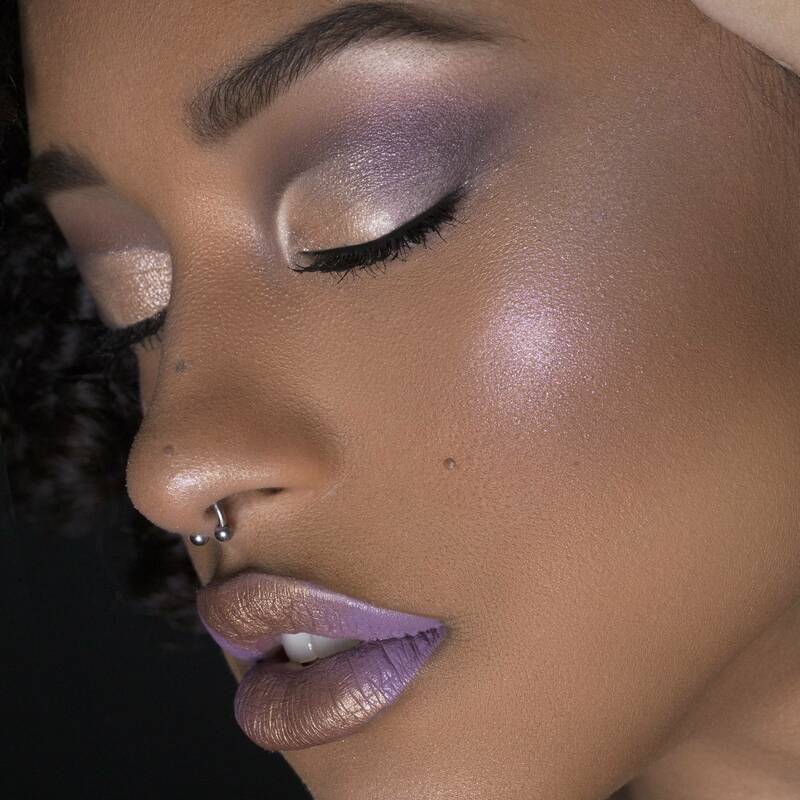 Aaliyah Jay breaks down the step by step to lip artistry made easy using Maybelline’s Lip Studio® Python Metallic Lip Kit in Valiant. We’re kind of obsessed with the results. From iridescent to edgy matte eyeshadow, create infinite makeup looks with this city inspired, all-in-one makeup palette. Cosmic Purple eyeliner is perfect for any festival – from Coachella to Electric Daisy Carnival and everything in between. Master Precise Ink Metallic Liquid Eyeliner in Teal Galaxy is so bold, vibrant, and brilliantly metallic that the crowd will go wild…FOR YOU! A subtler shade than the rest but nonetheless stunning, Galactic Metal is perfect if you’re going straight from cubicle to concert. You’ll be the star of the show in this Solar Gold eyeliner makeup look. Drench your cheeks and eyelids in technicolor shine with the ever-iridescent Facestudio Master Holographic Prismatic Highlighter powder. Available in Opal and Purple. This glimmering rainbow highlighter casts a captivating and colorful glow that will transform any ordinary makeup look. You’ll look anything BUT savage in this green and gold makeup look. Pair Color Sensational Powder Matte Lipstick in Green Savage with bright bursts of pure gold courtesy of the 24K Nudes Eyeshadow Palette for an unconventional, otherworldly look.